Designed and manufactured for strength and longevity, these models are free of pop rivets, screws, bolts, galvanized steel and plastic components.  All models conform to NSF STD 2 sanitation standards for foodservice equipment. 24"= 81 lbs. 30"= 101 lbs. 36" = 122 lbs. 42" = 144 lbs. 48" = 166 lbs. The comparison chart listed above is based on specification sheets available on manufactures websites. Comparison based on standard equipment lines. Not liable for inaccurate information due to changes made by manufacturers.